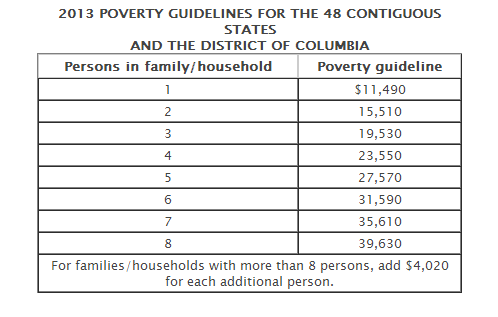 Household with an income up to 133 percent of federal poverty line will be eligible for Medicaid. Household with income between 133 percent to 400 percent of the poverty line will be able to get financial assistance (premium subsidies) from the government to buy healthcare coverage. This entry was posted in Affordable Care Act and tagged Affordable Care Act Federal Poverty Line, Affordable Care Act Poverty Level, Federal Poverty Level, Federal Proverty Level, Obama Care Federal Poverty Line, Obama Care Poverty Level on October 1, 2013 by Affordable Care Act.